The National Testing Agency conducts JEE Mains 2019, an all India Engineering Entrance Examination to facilitate admission into National Institute of Technology (NITs), Indian Institute of Information Technology (IIITs), and other centrally funded Engineering colleges. JEE Main 2019 will be held on January 06 to 20, 2019 and then again on April 06 to 20, 2019.For the January exam, the application process has now ended. National Testing Agency (NTA) will conduct the paper 1 (B.E/B.Tech) of JEE Mains 2019 January exam in two shifts, first one from 9:30 AM to 12:30 PM and the second shift will be held from 2:30 PM to 5:30 PM. However, the paper 2 (B.Arch/B.Plan) will be held in one shift only. Candidates who have applied successfully will be given a last chance to make corrections in their application form. Also, NTA will release the exact shifts and dates of the exams will be available on October 05, 2018 at nta.ac.in. NTA will randomly allot the test city, date and shift and its decision will be the final one. Due to a high level of competition, JEE Mains is considered as one of the most challenging entrance exams at the undergraduate level. The students aspiring for JEE Mains Exam 2019, should have a strategic JEE Mains Preparation plan since 30% of the questions asked are directly from NCERT textbook concepts. Also, only students selected in JEE Mains Exam are eligible for JEE Advanced Exam. For B.Arch admission, not only Mathematics, but Physics and Chemistry is also mandatory at 10+2 level. Now there is no age limit to apply in JEE Main examination. There are no attempt limits in JEE Main, candidates who have qualified their class 12 exams in 2017, 2018 or appearing in 2019 irrespective of their age can appear in JEE Main. Also, the application fee has been lowered. Normalisation of marks has been introduced. Aadhaar card is not mandatory for registrations. The information brochure for JEE Main 2019 April exam will be released in February. Declaration of Answer Keys To be announced! To be announced! The candidate will not be able to select the date and shift of the exam. He/She can only provide their choice of 4 exam cities in the application form. NTA will randomly allot the date and shift to appear in the exam using computer software. For Paper 1, 2 shifts will be available and only one shift will be available for Paper 2. The exact date and shift timings of the exam will be made available by October 5, 2018. 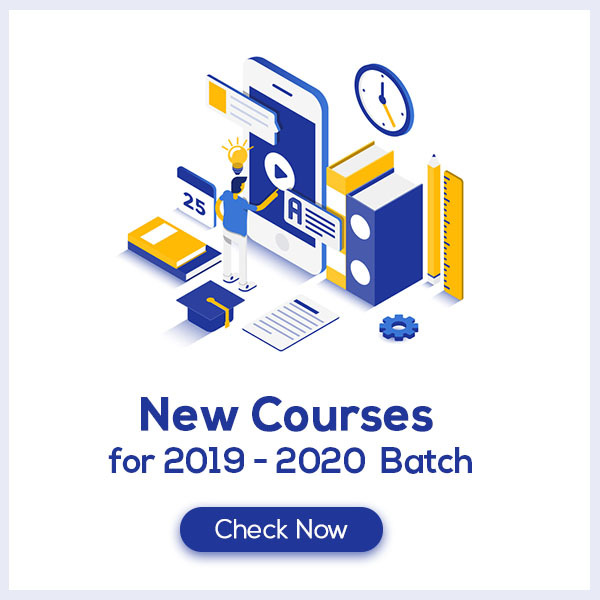 The syllabus for JEE Mains 2019 is different for Paper 1 and Paper 2. Candidates seeking admission to B. Tech/B.E courses will be appearing for Paper 1 while candidates appearing for Paper to will apply for B. Arch/ B. Planning course. The syllabus for both has been given below. Part I Awareness of persons, places, Buildings, Materials. Objects, Texture related to Architecture and build—environment. Visualising three-dimensional objects from two-dimensional drawings. Visualising. different sides of three-dimensional objects. Analytical Reasoning Mental Ability (Visual, Numerical and Verbal). Three dimensional – perception: Understanding and appreciation of scale and proportion of objects, building forms and elements, color texture, harmony and contrast. Design and drawing of geometrical or abstract shapes and patterns in pencil. Transformation of forms both 2 D and 3 D union, subtraction, rotation, development of surfaces and volumes, Generation of Plan, elevations and 3 D views of objects. Creating two dimensional and three-dimensional compositions using given shapes and forms. Sketching of scenes and activities from memory of urban scape (public space, market, festivals, street scenes, monuments, recreational spaces, etc. ), landscape (river fronts, jungles, trees, plants, etc.) and rural life. Candidates who have successfully registered for the exam will be issued the Admit Card for JEE Mains 2019 by NTA. Candidates can download their admit cards by logging in using the application number and password. The admit card will be sent via post. Therefore, it will be the candidates’ responsibility to get their JEE Main 2019 Admit Card on time. The JEE Main 2019 Admit Card will consist of the personal details of the candidate. Also, the basic information about the exam like date, timings and its address will be also available. The candidate should bring the print out of the Admit Card and a valid photo id proof. The candidates must carry their JEE Main 2019 admit card while reporting at the examination center for the exam. PwD candidates must carry a copy of the PwD certificate in the prescribed format (Appendix 9) issued by the Competent Authority. For JEE Main 2019 examination, candidates do not have to carry a pen or pencil along with them since they will be provided with a black ball point pen by the authorities. The drawing sheet needed for JEE main Paper 2 will be provided by the authorities. Candidates must carry their own Geometry Box Set, Pencils, Erasers and Color pencils or Crayons for the drawing paper. Any electronic devices like Cellular phone, Mobile, Pager, Calculator, Log Tables or copying materials, books, notebooks, bits of paper must not be carried to the examination hall. Candidates will not be permitted to wear or carry any type of watch into the exam hall.